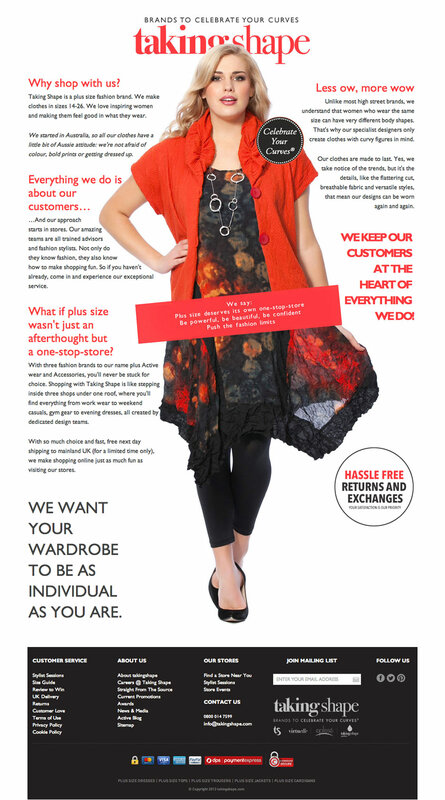 Takingshape is Australia and New Zealand's leader in plus-size clothing, specialising in fashion forward designer collections in sizes 14 to 24. 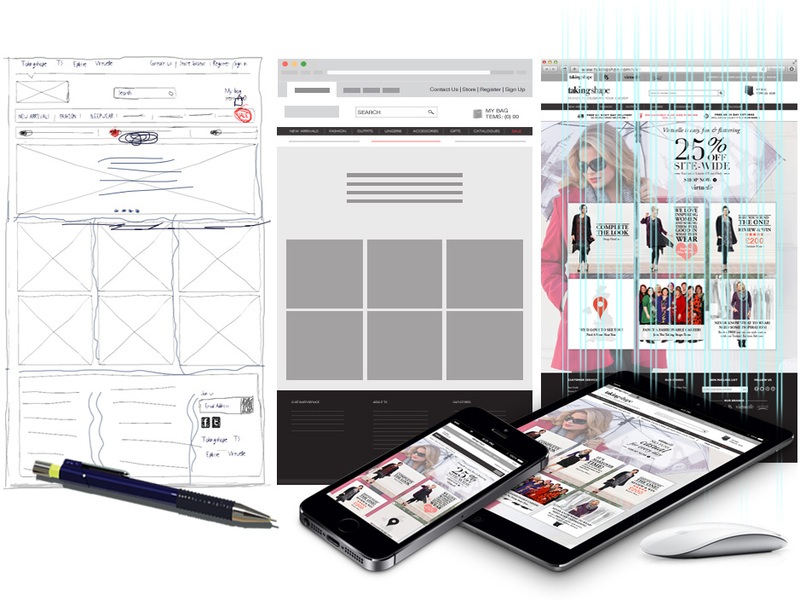 Taking shape recently launched online and retail stores in the UK and Dream Consultancy took the onus of launching its e-commerce system for their UK Website. At Dream Consultancy, we conducted an extensive research and created the ultimate responsive user experience for the visitors. I worked closely with the General Manager of takingshape e-commerce in the process of shaping this website User experience and visual design. I always start any project by sketching first; quick wireframe sketching allows to painlessly seeing changes and alternative solutions almost immediately. After the main features were worked out on paper, I made wireframes. Later, moved on to designing the look and feel of the website. We worked on this entire website in stringent deadlines without compromising on its user experience.